In this segment, Professor Marc Cohen discusses the different factors that causes poor sleep, insomnia or sleeplessness as well as the solutions we can apply in order to achieve better sleep. In 2002, he became Australia’s first Professor of Complementary Medicine and Head of the Department of Complementary Medicine at RMIT University, which was by far the largest such department in the country with around 100 staff and 1000 students. He currently leads wellness research within the School of Health and Biomedical Sciences at RMIT University and serves as Program Leader for postgraduate wellness programs along with teaching undergraduate courses on Medical Diagnosis and Medical Examination. Toby Longhurst: Hello and welcome to Health Professional Radio. My name is Toby Longhurst and joining me in conversation today is Professor Marc Cohen. Professor Cohen is one of Australia’s pioneers of the integrative and holistic medicine and has made significant impacts on education, research, clinical practice and policy. He’s a registered medical practitioner with degrees in Western Medicine, physiology and psychological medicine, along with PhDs in Chinese medicine and biomedical engineering. Professor Cohen, welcome to the show. Professor Marc Cohen: Thank you, I’m happy to be with you. Toby: Today we want to talk about the sleep cycle and why so many of us are struggling to get enough sleep. The Australian Sleep Health Foundation, suggesting that one in three people regularly struggle with their sleep. Why do you believe this is such a widespread problem? Prof Cohen: Well sleep is an essential human function and we’re still understanding the basis of sleep. So it’s not totally understood, all the dynamics around sleep but we know that sleep is very important for homeostatic processes, restorative processes and that the demands on our waking life are increasing and our circadian rhythms are becoming disrupted. Normally, humans are not nocturnal. We sleep at night and we’re awake in the day generally and our body follow a circadian rhythm based on the sleep/wake cycle and that’s not just sleeping or waking, that’s all our body rhythms whether it’s our cardiovascular functional, our organ regulation, our digestion, all of these functions have this circadian rhythm and that’s controlled by the pineal gland through melatonin production and there are many factors that can put that out. And one of the most obvious factors with daytime/nighttime is exposure to light and we know that normally the sunlight in the morning has more of the blue spectrum and towards the evening is more of the red spectrum and we know that blue light specifically will inhibit melatonin production. So just having a lot of artificial light at night can reduce melatonin production and certainly on the blue light from screens that everyone seems to be looking at for long hours every day can inhibit melatonin production. So that can actually throw out our normal wake/sleep cycles. That puts out our circadian rhythms and that has implications not just for insomnia and sleeplessness and depression and other mood disorders, but a lot of our physical disorders. Melatonin has anti-cancer properties and all of our organ functions can go out. So effective light, but also then the effects of just stress and that psychological stress that people have. So many stressors now on them with blasts of news and the demands of all the social media and emails and work and family stress and financial stress and the stress of current events. So that can disrupt people’s thought patterns and their wake/day/night cycle and then other things that control circadian rhythms can be eating habits. People eat before they go to bed, that could throw things out. It’s nice to have a break to eat, to not eat at least a few hours before you sleep so while you’re sleeping, you’re not having to actively digest and your body can actually go into a deep relaxation and you have this restorative processes. So there’s a lot of factors that throw people’s sleep out. I mean once your sleep is thrown out, you can have a whole lot of other things that you can go wrong in terms of any other health condition you’ve got, it’s much harder to treat. Toby: You mentioned food there, I’m curious. The time that we eat is very important. Is there any research that shows us the effects of different types of food on our sleep? Prof Cohen: Absolutely. I mean those things that contain caffeine, caffeine will inhibit melatonin and there are certain herbs that will increase melatonin, I’m speaking sort of a bit herbal or other other nutrients. I mean high sugar food can it impact on sleep. Caffeine is known to block adenosine receptors which affects melatonin production, so yeah there’s certain things you can change in your diet to enhance sleep. But certainly, the timing of food is really important and that it’s much better not to eat just before you go to bed. Toby: You mentioned caffeine. It is the most obvious one. So many of us feel like we rely on coffee to get us through the day. When should we stop drinking coffee because I’ve heard so many different reports on it? Prof Cohen: Yes and there is a individual variation there. So some people can say they’ll drink a cup of coffee and go to bed and they’ll be fine and other people, they drink even a decaf coffee with a tiny amount of caffeine in it and they won’t sleep for hours so it is a personal variation. It is a personal preference there but certainly caffeine does have a stimulant effect that it blocks adenosine and it enhances on cognition but it also enhances awareness and reduces sleep. Whereas there’s sort of herbs which you can have, the connection acts similar to melatonin and actually have a sedative effect. Toby: So what type of herbs would we be looking at that can do this? Prof Cohen: Passionflower, hops, there’s individual herbs and there’s also combinations and probably the most researched combination is a herb formulation called ReDormin Forte® and that’s a formulation called Ze 91019 and I think it’s important to say with herbal formulations, to say passionflower or hops or oats or different herbs have a sedative effect. Now a herb is a type of plant that you don’t eat a type of plant, you eat actually a preparation of that plant that’s grown in a particular way, harvested in a particular way and processed to get the the preparation that you’ve actually using. Valerian is another one that is really commonly use but there are different ways to grow and prepare and and produce valerian with hops and other ingredients that has a lot of variation in the effect. So I think if health practitioners are going to be prescribing herbs, it’s nice to prescribe the ones that have clinical evidence on the particular preparation they’re using, not just to say I’ve written this massive textbook on herbs and natural supplements and in that, we have chapters on each individual herb but when you look at in the herbal traditional use and different preparations but when you go into the clinical studies, they’ll specify and often they have a code name like your code number like Ze 91019 which means that this particular preparation is what has been used in the clinical trials and this is the evidence that has been obtained from a specific research. So I think it’s nice if you’ve got to prescribe herbs to just like you would were there any other prescriptions to actually prescribe things that have specific evidence associated with them. Toby: So how are herbs going to work? Do they work in the same way as traditional medicines will or do they take a longer time to have an effect? Prof Cohen: Well herbs work different from traditional medicine from pharmaceutical medicines which generally have a single ingredient at a very precise dosage and have a specific quite often strong biochemical or pharmacological effect. Herbs usually contain or always contain a whole gamut of phytochemicals. So these are very complex chemical mixtures that come from plant that generally have a much more subtle effect in terms of it’s not as dramatic but also which means the side effects are not as dramatic and often they take a little bit longer to have an effect so whereas you might have a pharmaceutical preparation that you’d expect to affect within a few hours or days. Now if you’re taking a verbal formula, you might take a few weeks for it to actually have a noticeable effect. Now in terms of the pharmacological effect, I mean a lot of pharmaceuticals come from herbs but they’re highly purified. We know that say valerian and hops and this ReDormin Forte® preparation has a specific pharmacological effect which can change the sleep/wake cycles. It actually has an effect on the circadian rhythm by affecting melatonin and it’s actually the opposite effect of caffeine so whereas caffeine will inhibit adenosine, ReDormin Forte® may actually activate adenosine and stimulate melatonin production and have a sedative effect. Toby: I was also very interested to read that 20% more women suffer insomnia than men. Do we have any ideas why this might be the case? Prof Cohen: It’s very hard when you’re looking at gender differences because there’s so many other social and cultural effect that maybe the case there and I think it’s also different according to ages. And I think with insomnia, it’s also important to distinguish psychological, insomnia is a very important factor in depression but also in some way has some physical causes like sleep apnea and other factors. So I think it’s important to work out if there’s any serious medical condition going on or psychological situation there, say depression, sleep apnea and other conditions and then see if there’s some other specific treatments that are needed. In terms of why women have more insomnia, really I don’t know if there’s any specific gender difference in terms of hormonal responses. 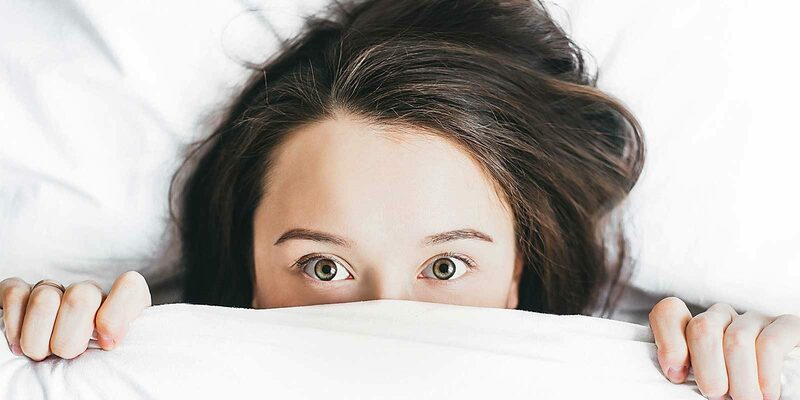 We know menopause affects sleep, so menopausal women have more problems with insomnia and there may be factors with the menstrual cycle and it’s interesting when you look at a lot of clinical research. Often they exclude women who are pregnant or women who are menopausal so it’s really hard to say on that data but certainly, if women are taking care of kids and babies, that causes sleep disruption so there are many sort of gender differences that I wouldn’t say that this is an inherent biological change. I think it’s more social and cultural. Toby: We all know how sluggish and horrible we feel when we’re trying to function after a sleepless night, they’re the shorter term effect. A moment ago, you were mentioning longer term effects such as depression. What are the other longer term effects of insomnia and poor sleep? Prof Cohen: Again, depends on why you’re getting the poor sleep. I mean once you lose that restorative power of sleep, it’s really hard for your general organ systems to maintain homeostasis, your immune system is not as functional so you’re more likely to get other health conditions becoming problematic. And that then adds if you don’t sleep well, you become stressed and more anxious, more irritable, more restless, more likely to have accidents, more likely to fall and more likely to have mental agitation so you’re not going to be as effective with your job and you’re less likely to recover from a mild illness. So this negative spiral that happens, whereas if you can improve sleep, you can enter this virtuous cycle where if you’re sleeping really well even if you’ve got other health conditions going on, you’re much better able to cope with them. Your flexibility or response, your homeostatic range increases when you can sleep, when you wake refreshed and you’re not drowsy in the morning or groggy and you’re clear and you have enhanced mood and you feel better able to cope with the other general stresses of life which I mentioned increasing for everybody. Toby: Now many of our listeners will be medical and health practitioners who are solely trained in Western practices and approaches. When it comes to alternative approaches, many of them will come with a degree of uncertainty of where to get reliable advice. What advice can you offer them to find a balance between the two approaches and then being able to integrate them into their practices? Prof Cohen: Well I think there’s an imperative now for any health practitioner and certainly Western medical practitioners, I’m a Western trained doctor. To actually include alternative, well we’re considered alternative approaches because now there’s really solid evidence that they’re effective and I mean I’ve written this massive book Herbs and Natural Supplements, an evidence-based guide but we looked at 130 herbs and nutrients and went through all the clinical evidence and research evidence. And there’s a wealth of information just in the normal sources, on PubMed, Google Scholar or the bibliographical databases where you can see in a double-blind randomized placebo controlled trials on herbal preparations and that’s why I was talking about ReDormin Forte® before which is the formulation that has the clinical research performed on it so it has randomized placebo double-blind controlled trials performed on that actual products. Now even by saying that, a lot of clinical trials exclude pregnancy, they exclude menopausal women they exclude people with other heart conditions. Trials are a very limited tool but I think that’s a really good place to start so where is the clinical evidence and you can go with looking up the evidence yourself. The company Flordis have the model where they only produce herbal medicines that have clinical data on their product. So their products all have published peer review clinical trials so that’s a really nice place to start for Western practitioners and I think there’s a moral and ethical imperative for doctors to look at this because if they don’t, they could be denying their patients a safe, effective treatment and potentially putting them at harm if they’re using other treatments that have more potential side-effects or maybe not as effective. Prof Cohen: Sure and I think it’s really overwhelming for practitioners because there’s so much information you need to know nowadays and where do you look for that information and it’s really hard for any doctor to go to the original research data because it you put in a search term on a bibliographical, PubMed or something and just get inundated by studies so it is a vexed issue of where do you get quality information that’s digestible, in that how do you turn that into prescribing practices. So I think that’s a really important issue to discuss and that’s where going to high quality brands that have research on their particular product is a really good place to start. Toby: Well I hope one day, we can get you back on to talk about it again. But unfortunately today, we’re fast running out of time. But professor Cohen thank you so much for joining us. Prof Cohen: It’s my pleasure. I’m really happy to be with you and I look forward to speaking again sometime. Toby: I look forward to it. If you’ve just joined us on Health Professional Radio, you’ve just missed my conversation with Professor Mark Cohen, a lead researcher at the School of Health and Biomedical Sciences at Melbourne RMIT University. We’ve just been discussing natural ways that we can achieve better sleep. To hear the interview again, you can find it in its entirety on our website hpr.fm along with many other interviews from the world’s leading health and medical experts. You can also find us on Facebook YouTube Twitter Instagram ITI sorry iTunes and SoundCloud my name is Toby Longhurst and you’ve been listening to Health Professional Radio.